Stoudts' beers have been served at McGillin's for many years and the bar's eponymous IPA since 2010. Nice to see the long relationship continue with the upcoming re-release of the beer in bottles. Carol Stoudt will be there. Joe Sixpack as well. And you'll see a very attractive pricing of these beers for one night only. More information follows in the press release. To commemorate 25th anniversary of ownership at McGillin's Olde Ale House, city's oldest tavern. Re-release party on August 9. PHILADELPHIA (July 17, 2018) — McGillin's Olde Ale House, the oldest continuously owned tavern in Philadelphia and one of the oldest in the country, will re-release its 1860 IPA in bottles to commemorate the 25th year of ownership by Mary Ellen and Chris Mullins, Sr. The bottles will be rolled out at a Re-Release Party from 6-8 p.m. on Thursday, August 9 at McGillin's Olde Ale House, 1310 Drury Street. Joe Sixpack (a.k.a. Don Russell) will be on hand, along with Carol Stoudt, who is considered the first lady of craft brewing. 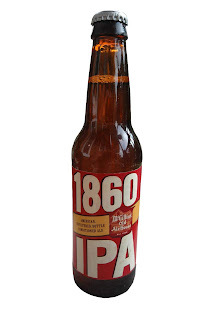 At the party the bottled 1860 IPA will be reduced to $3.50. The event is free and open to the public. Mary Ellen and Chris Mullins, Sr, a husband-wife duo, bought the bar from Mary Ellen's father and uncle in 1993. They run it today with their son, Christopher Mullins, Jr. His grandfather and great-uncle purchased the bar from the McGillin family in 1958, making Christopher Mullins, Jr., the third generation of the same family to run the tavern. The namesake IPA, brewed by Stoudts Brewing Company, was introduced in 2010 when the historic tavern was celebrating its 150th anniversary. McGillin's 1860 IPA is unfiltered, as it would have been in the 1800s and is made from a secret recipe with multiple hop varieties, including centennial and amarillo. A crisp hop flavor and aroma with a slight maltiness and medium body round off this quaffable ale. 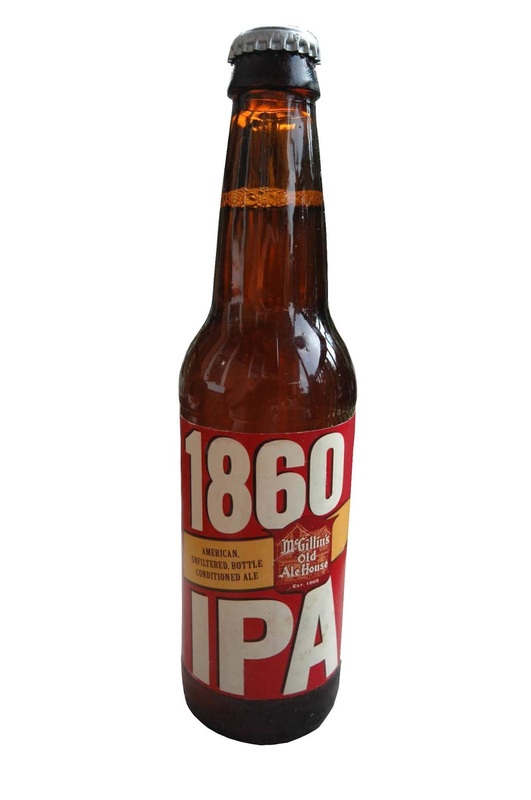 Bottles of the 1860 IPA will be available to drink at McGillin's or to take out. It is also available on tap. Bottles will also be available at other restaurants and bars around Philadelphia. As other establishments begin carrying McGillin's 1860 IPA, it will be announced on the tavern's social media platforms including Facebook, Twitter and Instagram. McGillin's has 30 beers on tap and is committed to Eastern Pennsylvania breweries and serves a large selection of regional microbrews. McGillin's also serves the only stout made exclusively in Ireland. The 1860 IPA is one of three house beers served at McGillin's Olde Ale House. The 1860 IPA, McGillin's Real Ale and McGillin's Genuine Lager are all brewed by Stoudts Brewing Company in Adamstown, PA. Mary Ellen & Chris Mullins, Sr. starting serving Stoudts beer at McGillin's 25 years ago when they bought the bar and they have a warm relationship with Carol and Ed Stoudt. The tavern serves more Stoudts draft beer than any other tavern in the Commonwealth of Pennsylvania. McGillin's Olde Ale House opened in 1860, the year Lincoln was elected president. It is the oldest continuously operating tavern in Philadelphia and one of the oldest in the country. The tavern that opened around the time the Liberty Bell cracked and long before anyone ever tasted a cheesesteak, is a stone's throw from City Hall, the Pennsylvania Convention Center, Holiday Inn Express Midtown, Loews Philadelphia Hotel, the Philadelphia Marriott, Courtyard by Marriott, The Ritz-Carlton and other Center City hotels. A private upstairs room for 90 plus guests is available for beer tastings, bus groups, fundraisers, and more. The tavern is open daily from 11 a.m. to 2 a.m.